2. 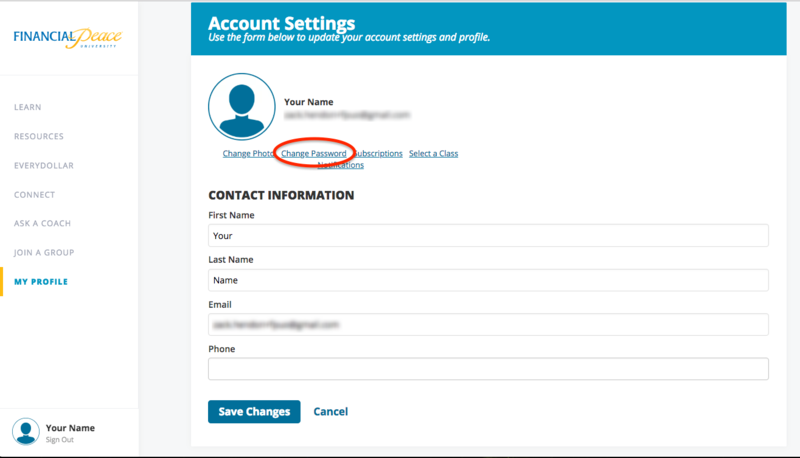 Select the Change Password link directly below your name. 3. Type in your current password, then type in the new password you want. 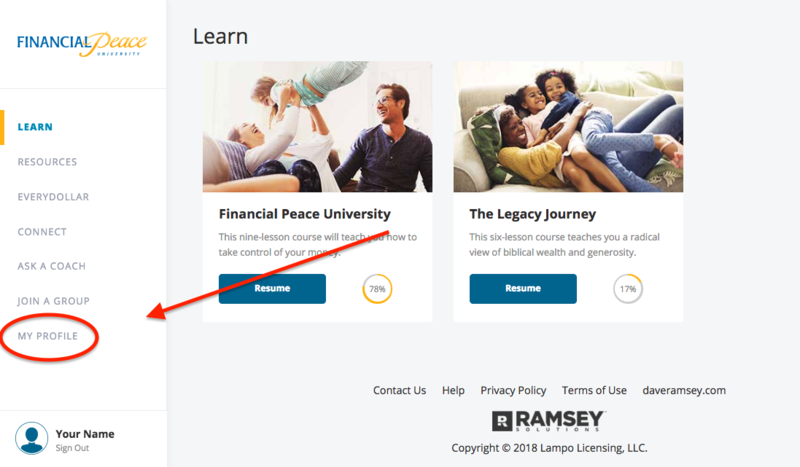 IMPORTANT - Don’t share your password with anyone except your spouse and God (not even Dave Ramsey himself). If anyone at church or in your community group asks for your password, respectfully tell them no. 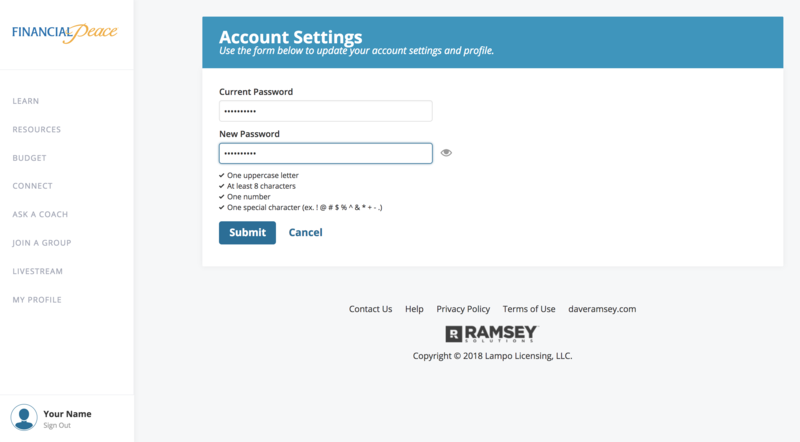 They really should have their own Ramsey Solutions ID anyway.